Hello everybody today I am sharing a story which is send by one of my reader and a good friend who talk about her situation and really want to help others who are facing this and also spreading awareness about Bulimia. People may say I’m lucky to have the life that I have, either because I was born in a democracy or because I’ve an exceptional family or because I’m not in need or for a lot of other reasons. It’s not wrong if we are fooled by appearances. Most of people don’t recognize bulimia as a real disease. They think it’s the response of obsess to justify their overweight. I’ve always been above the average of weight curve since I’m 3 years. Children are wicked them and I suffered insults. This feeling of rejection and inferiority made me feel a malaise. When I was coming home on an afternoon I rushed in the kitchen and I ate what I found. It was impossible to stop the crisis. In the moment I seemed to feel better but when it ended I felt terribly wrong. I gained weight because of bulimia and the fact of gaining weight has intensified my bulimia. It’s a vicious circle without end. In this situation we think we’ll never be released. Sometimes I self-mutilated arms and hands. A day I decided to do something and to go see a psychologist. It helps me to talk to a specialist and crisis stopped. I know that I’ll always be bulimic because it’s a mental illness. What I mean is that anything is possible and there’s no inevitability in this world. This is a great lesson for everybody who really want to talk about things because it really helps. If you have any question about this feel free to ask in comment box she will respond. I also didn’t know about it but I read and now I can understand. 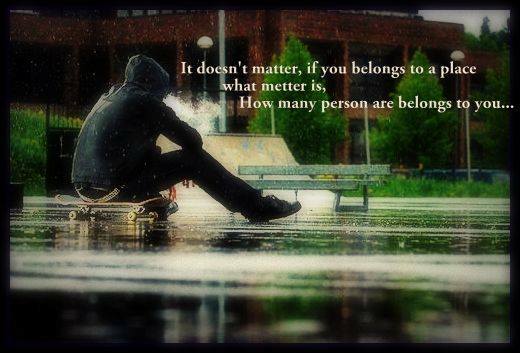 People feel free to talk about anything you feel we are here to listen and learning thing. Les gens peuvent dire que je suis chanceuse d’avoir la vie que j’ai parce que je suis née dans une démocratie, parce que mes parents m’ont désiré, parce que j’ai une famille exceptionnelle, parce que je ne suis pas dans le besoin, ainsi que pour un tas d’autres raisons. Ce n’est pas faux si on ne se fie qu’aux apparences. La plupart des gens ne reconnaissent pas la boulimie comme étant une maladie. Ils pensent que c’est une excuse que certains gros donnent pour justifier leur surpoids. Dans mon cas, j’ai toujours été au-dessus de la courbe moyenne de poids depuis que j’ai 3 ans et j’en ai beaucoup souffert. Les enfants sont impitoyables entre eux et j’ai, comme beaucoup de personnes dû subir les moqueries, insultes. Ce sentiment de rejet et d’anormalité par rapport aux autres m’a fait éprouver un réel mal-être. Lorsque je rentrais chez moi le midi et le soir, je me précipitais dans la cuisine et j’avalais tout ce que je trouvais. C’est comme si le cerveau se détachait du corps et qu’il était impossible d’arrêter la crise. Sur le moment j’avais l’impression de me sentir mieux, de combler un vide. Lorsque la crise était finie, je me sentais incroyablement mal. La boulimie m’a fait grossir, et le fait de grossir a intensifié la boulimie. C’est un cercle sans fin. On a l’impression que l’on ne s’en sortira jamais et parfois comme moi, on peut se faire encore plus de mal. En effet, plusieurs fois je me suis automutilée les bras et les mains. Un jour, j’ai décidé de me prendre en main et d’aller voir une psychologue. Parler m’a fait beaucoup de bien et les crises se sont atténuées. Je sais que je serais toujours boulimique au fond de moi parce que c’est avant tout une maladie psychique. Ce que je veux dire, c’est que rien n’est jamais acquis et que si on un déclic on peut évoluer. Il n’y a pas de fatalité dans ce monde, tout est possible, il faut le vouloir et s’en donner les moyens. Dr. APJ Abdul Kalam the President (First Man) of India, the most popular personality in the eyes of youngsters. He was a different person by born. Full name was Avul Pakir Jainulabdeen Abdul Kalam, I always forget his full name in my junior school. Small in height but dreams touches the sky. He was a teacher, scientist, writer and politician. But Dr. Kalam always said that “I am always a teacher” and the last day of his life he spent around the student doing his favorite job that was giving a lecture to IIM students. He was known as a teacher and Inspiration to others. He was always young from his heart. All these quality makes student to follow his steps. He was one person who has the highest youngest follower in India and youngster follows him from their heart. I am one of these followers. It doesn’t matter that he is not with us today. He did a lot to others. Now it’s our time to follow what he told us. Dr. Kalam was born in Rameswaram, Tamilnadu. His father was owner of a boat. From his childhood he was good in studies specially in mathematics. He started to support his family in his school by distributing the newspaper. Then he studied physics but moved to aeronautical and graduated in aeronautical engineering. He was in last year and the final project was not completed so Dean of the collage threatened him that he dismisses his scholarship if he didn’t complete the project in 3 days and he match the deadline. His first job was in DRDO then he worked for ISRO, visited NASA and as a chief he worked for a classified project on missile making by the order of prime minister Indra Gandhi. The results were amazing and he gave us the Agni and Prathvi the hazardous missiles. He also involved with the nuclear test of Pokhran-II. He played an important role in developing missiles and launching vehicle technology. He also wrote India 2020 and in this book Dr. Kalam clearly advocated a plan to develop india into Superpower in Knowladge and Developed Nation by the year 2020. Many biographies are based on his life like Eternal Quest: Life and Times of Dr Kalam by S Chandra, President A P J Abdul Kalam by R K Pruthi, A P J Abdul Kalam: The Visionary of India by K Bhushan and G Katyal, A Little Dream (documentary film) by P. Dhanapal, The Kalam Effect: My Years with the President by P M Nair, My Days With Mahatma Abdul Kalam by Fr A K George. We celebrate “The World Student Day” on Dr. Kalam’s 79th birthday confirmed by the United Nations. He honored by the doctorates from 40 universities. The Government of India honored him with the Padam Bhushan and The Padma Vibhushan for his work with ISRO and DRDO and his role as a scientific advisor to the Government. In 1997, Kalam received India’s highest civilian honor, the Bharat Ratna, for his contribution to the scientific research and modernization of defense technology in India. In 2005, Switzerland declared 26 May as “Science Day” to commemorate Kalam’s visit to the country. Wow. 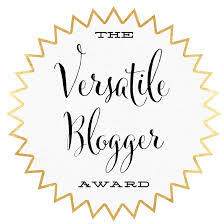 This is My second nomination THE VERSATILE BLOGGER AWARD. This is a awesome feeling that you are enjoying my blog. Thank You wafflemethis for this award nomination. Today on the occasion of mother’s day I am dedicating this article to all mothers. Yes, I am too late for posting this because I can’t think about something spacial for you all and its never late until the day ends. There are many woman who struggled in their whole lives. Here I am highlighting few from many who fight alone somewhere in their way of success and became an inspiration for all the people. They are doing everything for their child with no intention of payback. Like I am inspired by my mother who sacrifice her career and life for ricing me. Love you mama. The legendary women Rani lakhmi bai queen of Jhansi, India. She known for her bravery and courage. She has been struggling from her childhood. Her mother died when she was just 4 year old. But she never gave up. She learned and mastered in Martial arts which includes archery, horsemanship and self defense training. Her nick name was Manu. Manu was married to a king. She gave birth to a boy child but he couldn’t survive more and died when he was only 4 months. Then king decided to adopted his cousin’s boy and named him after their passed child. That time India ruled by British government. Soon king died and then she was all alone. She raised her boy and also ruled on Jhansi. She was a great queen and mother. In Indian independence Rani lakshmi bai played an important role in 1857. And now there are many books, TV series and films which is based on her life. She is a famous icon of the Hindi cinema, A legendary singer. But she lost her father who also was a singer at the age of 9. Then her mother and both sister Lataji and Ashaji moved to Mumbai. And started their career in singing in 1943 with a song in Maharashtra movie. But she never saw back and move forward whatever problem came between her way of success. Then first problem she faced when she fall in love with a 31 year old man and married with him. However her marriage was short lived, she returned her home with 2 child and pregnant with third because of miss treated by her laws. But she didn’t loose her hope and continue her singing career and got many awards. Now she is a inspiration for many young people. This is my first ever blog. I was just enjoying my coffee in the morning and open my blog. 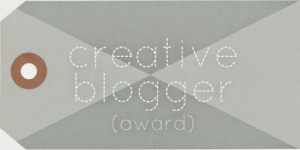 There is two good news waiting for me first one The Creative Blogger Award and other one is 100 followers, Awesome feeling. Thank you to all my readers (My 100th Quarksire) and spacial thanks to Eloquent Deviance to nominating me for this award. This is the first time I have been awarded. Now I will nominate 15 bloggers who truly deserve this Award. THE RULES: As much as we may hate them, everything in life has rules. Please Accept my true apologies because i made some mistake in my previous article. I am in learning phase. Right now i am developing my skill of standard writing. 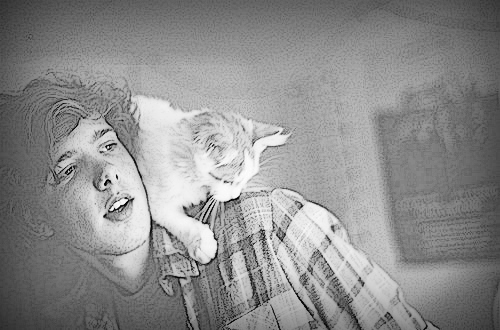 Today’s story is about a boy who inspired me. Avnish had completed his graduation recently in history. He wanted to become a archaeologist. He was living in a town, So he decided to move in other country for further studies. He was very open, became friends to a stranger very often. He liked to visit different places, where he could recognize a historical story. He got half of scholarship for his studies. He was going to the Germany. Avnish was very excited that he was going to live a different life in a new Country, new environment, to meet new people. So he started to put his effect in the research about all the things he had to know that how could he survive in Germany.